Yes - Please send me new editions as they become available. With your order you will receive the benefits of our convenient automatic annual update service so you don't miss the latest developments! Learn More. 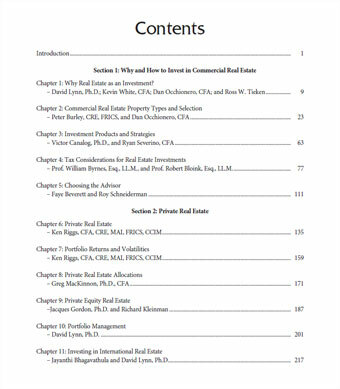 The Advisor’s Guide to Commercial Real Estate Investment is the only single volume A-Z guide to commercial real estate investment available today. It is an invaluable resource for anyone advising investors as well as for those seeking to increase their knowledge of real estate finance. As investors (and advisors) search everywhere for yield, commercial real estate has proven itself to be the best alternative investment around. Commercial real estate is relatively transparent, able to produce a steady yield, not easily subject to financial fraud, and—thanks to this all-new guide—very easy to understand. Written and edited by an all-star team of experts, The Advisor’s Guide to Commercial Real Estate Investment stands out as your how-to resource into investing in the largest asset class in the world. It is a hands-on guide for advisors and the perfect primer for anyone starting out in real estate finance.